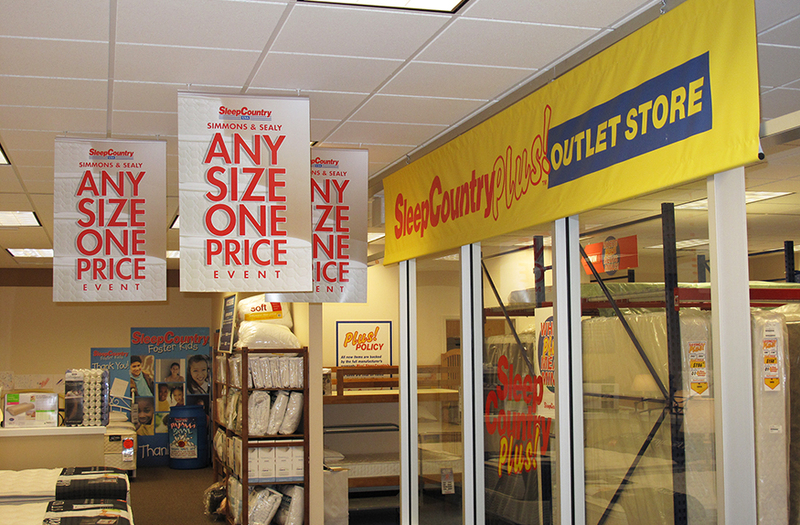 Imagine partners with Sleep Country to produce, inventory and fulfill on-demand signage for all of their stores up and down the west coast. 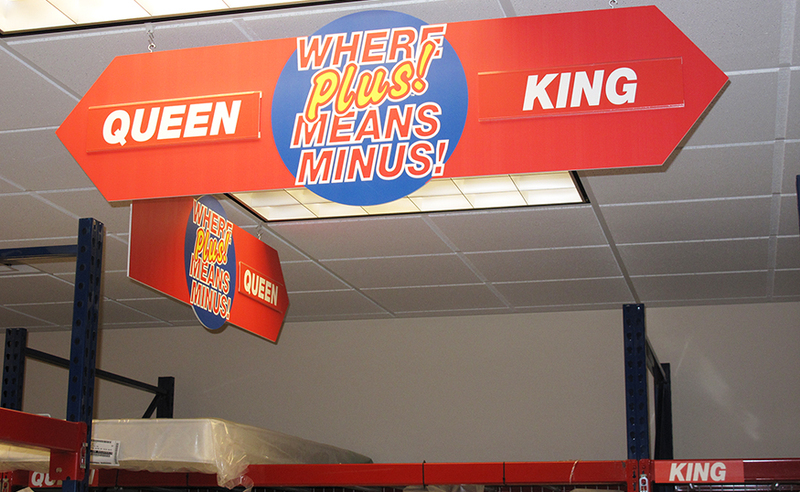 Retail graphics are printed and then placed into inventory in Imagine’s Seattle warehouse. 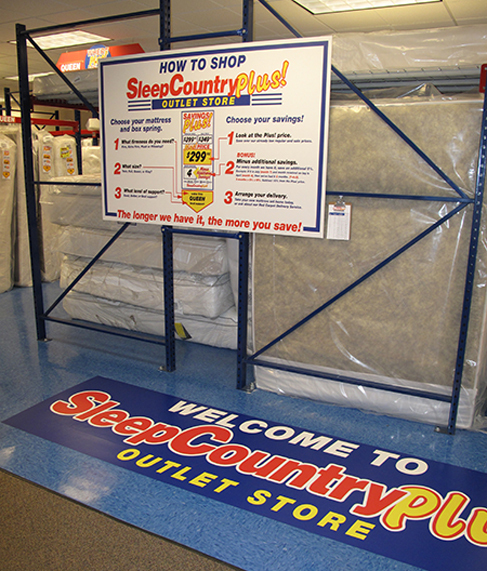 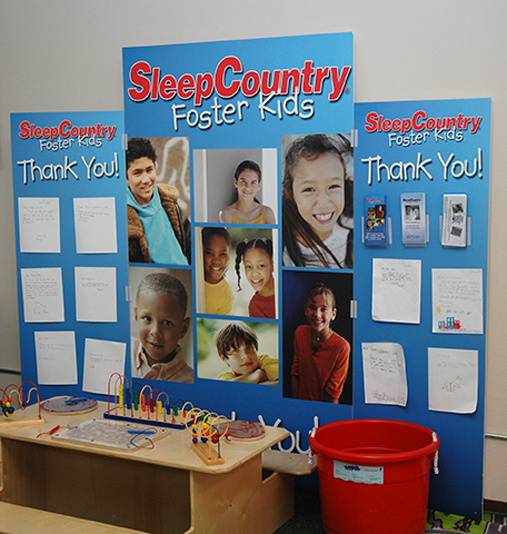 Imagine hosts an online ordering system that is used by Sleep Country to check inventory levels and order graphics to be picked, packed and shipped out to their stores when needed.